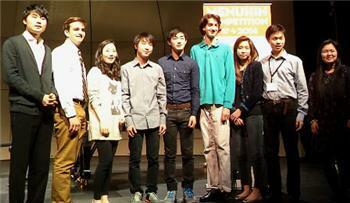 Tomorrow the first round of the Junior competition will begin, running through Tuesday. The Senior Semi-Finals will be held on Wednesday, and the Junior Semi-Finals on Friday. All these performances will be liveeamed here, where you also can find a schedule. If the Canadian guy wins, I'm blaming the hockey gods. Paul, let the best man win:) Go Timmy go! D'you know, 6 out of the 9 finalists are from Curtis, and the 7th (Stephen Kim) is going there. Yeah, you wonder at what point these kids outplay their professors.